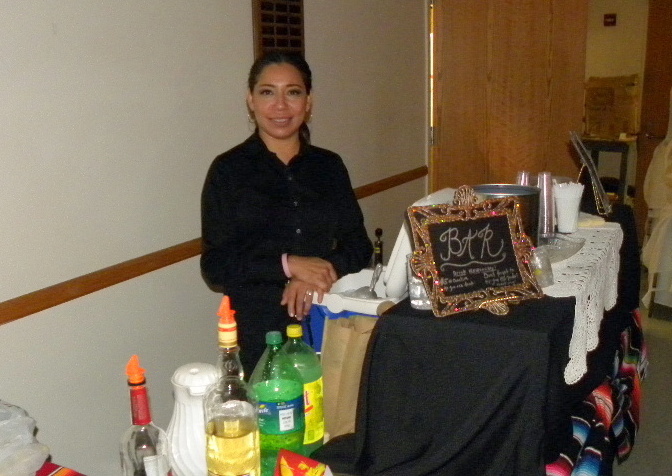 Last night I worked a wedding in Glendora and sent another bartender, Jessica, to do a 30th birthday in Chatsworth. Another successful night for Shaken Not Stirred. 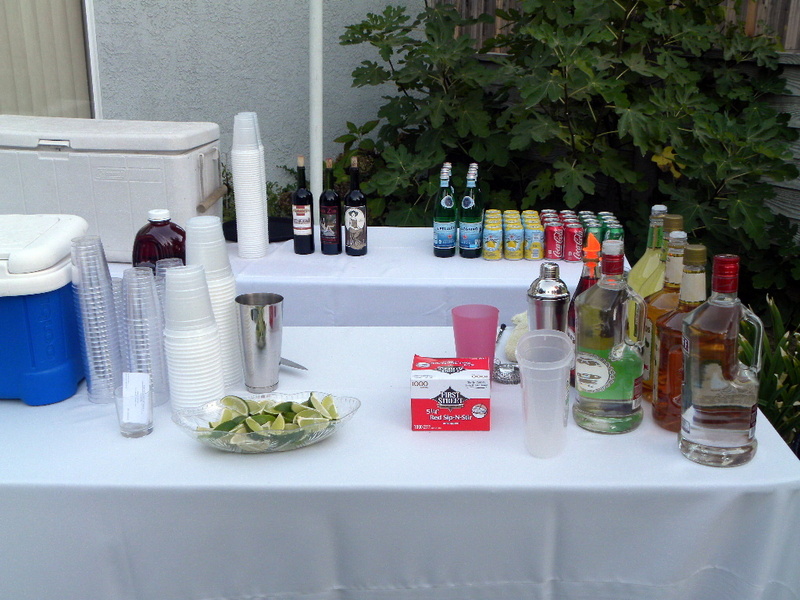 As I was setting up for the party in Glendora, someone called me because their bartender cancelled at the last moment. I can’t believe how many calls I get like that. Unfortunately I couldn’t help that person. I have never cancelled or flaked on a gig, and couldn’t imagine doing it. Reliability means a lot to me, but I guess not everybody feels that way. The wedding in Glendora at the La Fetra Center was a Mexican styled wedding complete with Mariachis. Probably 100 people were in attendance, and another bartender, Mary, helped me. They had keg beer and I want to stress that I don’t recommend that for parties less than 150 people. At this wedding they had two 16 gallon kegs and I would say both were still half full at the end of the party. Keg beer is messy and hard to deal with. When you first tap the kegs you have to deal with foam for probably half an hour. If you have those pump type taps, the beer pours extremely slow. Kegs were cool to me when I was 16, but I’m over them now. We also served vodka, tequila, and rum drinks. Many shots of tequila went down. I helped the host of the 30th birthday party in Chatsworth construct a drink menu. She decided on dirty martinis, Cosmos, and Margaritas. I talked her out of keg beer and she served Corona and Stella Artois. Jessica, the bartender said it was a great event. I like helping my clients with drink menus and shopping lists, and I think I can save them a lot of money. Next weekend I have a costume party scheduled in La Quinta, (I am going as LLoyd the Bartender) and a wedding in Eagle Rock. Don’t forget, book those holiday parties now. If you wait until the last minute you may have a hard time finding a bartender. Shaken Not Stirred serves Southern California, from Santa Barbara to Palm Springs. 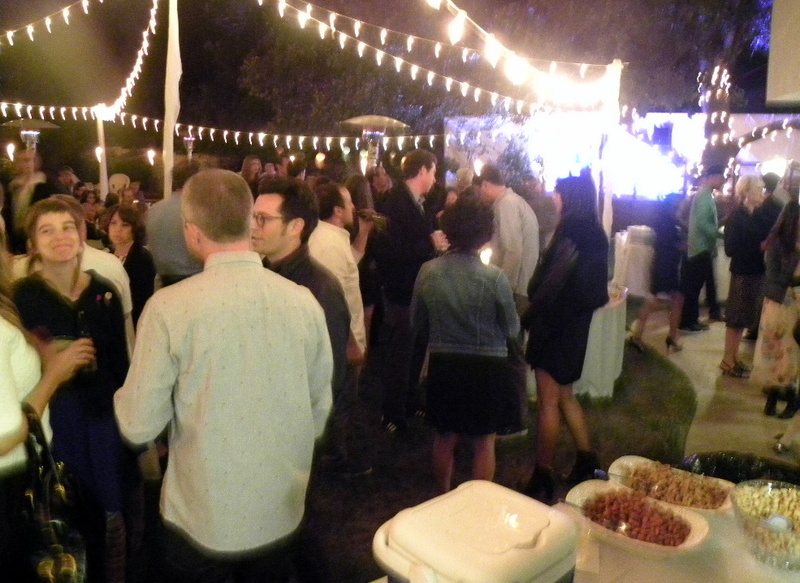 Shaken Not Stirred manned another successful back yard event last night – an engagement party in Chatsworth. Over 100 people attended the party and it seemed a great time was had by all. Although I wasn’t contracted to bring a barback, I brought my son, Willie, to train him. As it turned out I really needed him and he was a big help. I usually recommend having a barback or second bartender for parties over 100 people. As you see in the pictures, the “bar” was made up of six foot folding tables covered by table cloths and that worked just great. People often ask me if I have a bar for rent, or if they should rent a bar. Bar rentals cost as much as $300 a night, and it really isn’t necessary. In fact, I prefer working with the table set up, because there is more room and the table is usually just the right height. The moral of this story is, unless you think a real bar will make your party look that much better, it really isn’t necessary – a folding table with table cloth works just fine. If you have a home bar already, great! A friend of the engaged couple donated the beer and it was a big hit. The beer we served was St. Archer Blonde Ale and is brewed at St. Archer Brewery in San Diego. We went through at least four cases over the course of the night. 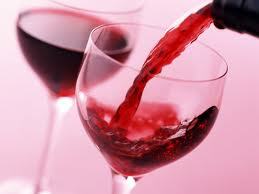 As the weather gets cooler, wine becomes more popular. We served several bottles of various red wines, and several bottles of white, as well as a few bottles of champagne. This was a younger crowd, so they drank quite a bit. Traditional Persian cuisine was served including lula, chicken, and beef kebobs, saffron rice, and other traditional dishes. I was so busy that I didn’t get a card from the caterer, which I usually try to do. They had a DJ and a dance floor also and the party went on until after midnight. Holiday season is fast approaching and I have booked one Halloween party so far. I still have a few weddings booked in October and early November and then I imagine the focus will shift to Christmas and New Year’s Eve. parties. It is best to book early. Shaken Not Stirred serves all of Los Angeles County, and we also go to Orange, Riverside, San Bernardino, and Ventura Counties. In fact, we’ll go anywhere for the right price. Shaken Not Stirred is now serving the greater Los Angeles area, providing bartenders and servers for all kinds of private and corporate events. The company can provide professional bartenders with many years of experience to bartend your party, company event, wedding, or barbecue. Servers are also available to help serve hors d’ oeuvres and clean up while the party is in progress. 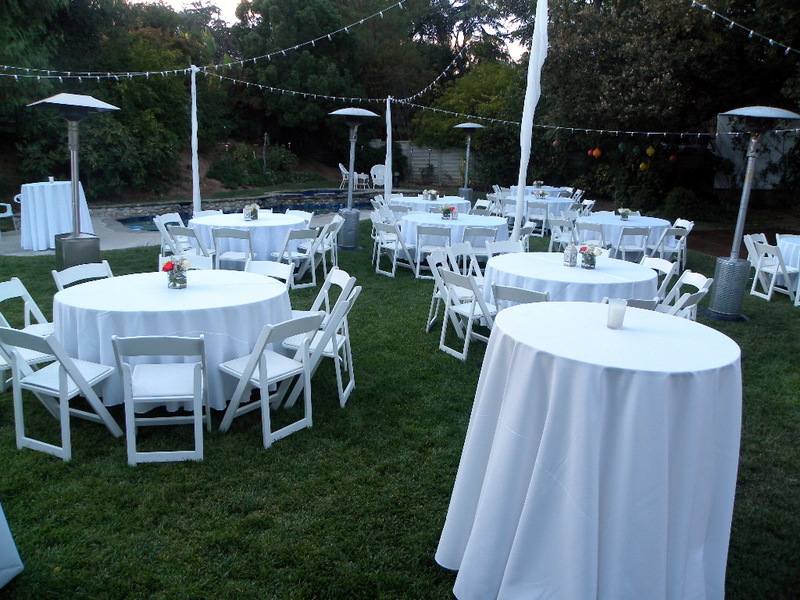 Our goal is to be of maximum service to hosts, so their time at the event is stress free and enjoyable. We recommend that you book bartenders and staff at least 3o minutes to one hour before the guests arrive to insure proper set up time. Set up of a bar includes organized the bottles and applying the pourers, setting up the ice and preparing the garnishes, and tapping the keg if necessary. Our bartenders have done many parties and are adaptable to many different situations. We will not send inexperienced bartenders that will panic. 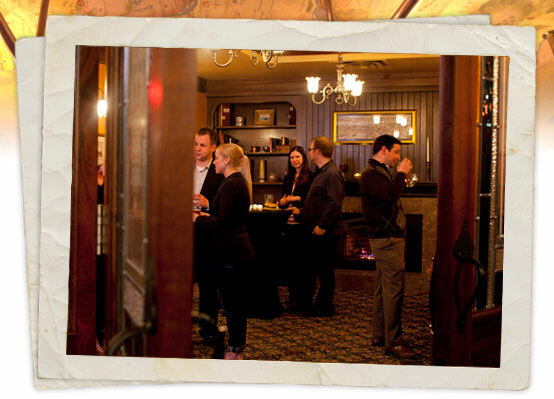 For events with more than 60 guests we recommend booking two bartenders, or at least one bartender and a server. You can see what we recommend when purchasing your supplies here. We can buy supplies for you if everything is arranged in advance. Standard attire for bartenders includes white shirt, black pants and black bowtie, but you can specify black shirt, or Hawaiian shirt and shorts depending upon the type of event. Male and female bartenders are available. 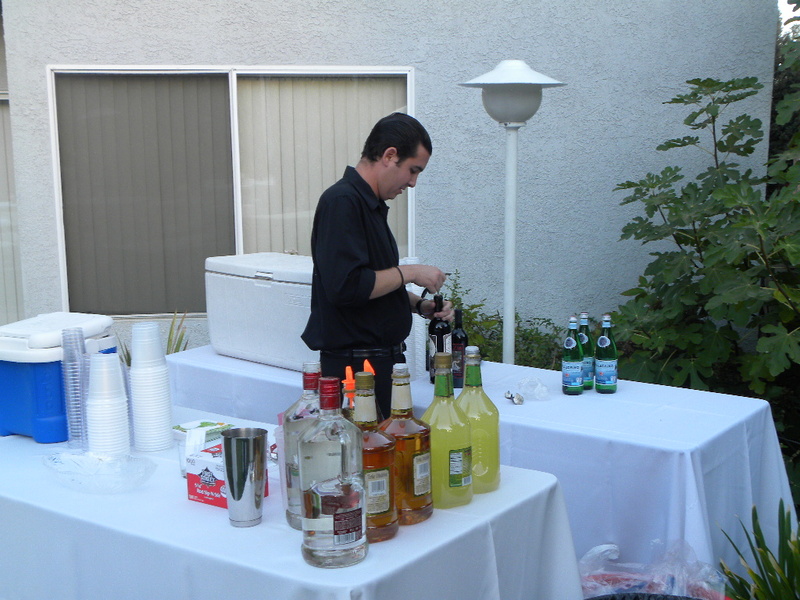 To book a bartender in for your event in the greater Los Angeles area, including the San Fernando Valley, Canyon Country, the South Bay, Orange County, Palm Springs, Beverly Hills, West Hollywood, Thousand Oaks, Malibu, Santa Monica, Culver City, and the Inland Empire call (310) 280-6103, or email here. 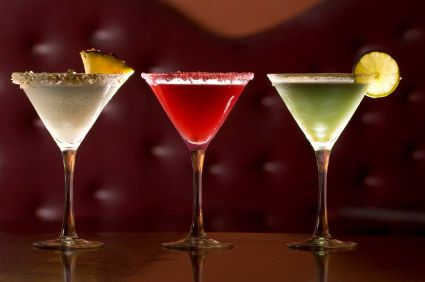 In L.A. , Shaken Not Stirred provides both male and female bartenders for private parties and events. Shaken Not Stirred is now serving the Los Angeles area providing professional bartenders and servers for all kinds of events – including parties, weddings, openings, screenings, barbeques, and art shows. Whether you are planning an informal pool party, or formal black tie cocktail reception, Shaken Not Stirred can provide the service you need to maximize the experience of your guests. Our staff strives to make you look good and help to create a memorable event for all involved. 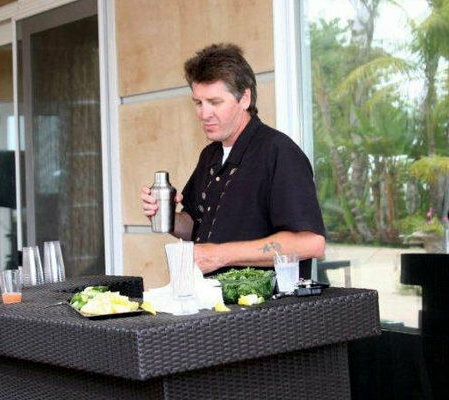 Rob Neighbors has over fifteen years experience bartending and serving in the L.A. area. He has worked in high-end Italian restaurants including Milano’s, Prego, and Frascati of Redondo Beach, where he served as bar manager for three years. At Frascati, he helped create a wine list and specialty drink menu with Chef Enrico Glaudo that proved to be a hit in the busy restaurant. Rob went on to work at the classic French restaurant, La Rive Gauche in Palos Verdes, where he participated in countless special events, including business presentations, wedding receptions, wakes, and company parties. Over Rob’s career in the restaurant business in Los Angeles, he has developed relationships with top bartenders and servers and has brought them into his company. Every staff member at Shaken Not Stirred has been chosen because they have proven track records and personal and working relationships with Rob Neighbors. We do not send unknown and unproven entities to your event. We pride ourselves on dependability and prompt and professional service. Rob will consult with you and help you determine what you will need for the party depending upon the number of guests. Create a specialty drink menu if desired. Bartenders will show up on time with a bar kit including martini shakers, cutting board, wine opener, pourers, and blender if needed. No tip jars. All fees will be agreed upon up front. Professional attire specific to the event. We realize that planning and executing an important event can be very stressful, and we seek to minimize your stress by providing seamless, invisible service, meaning that our staff comes and goes without any drama or big fan fare. To book a party, please contact Rob at (310)280-6103 or email at shakennotstirred1@aol.com. Rates vary depending on the level of service and type of event. A 25 percent non-refundable deposit will be required at the time of booking. Shaken Not Stirred has both male and female bartenders and servers available. We also have relationships with entertainers and caterers. At Shaken Not Stirred, you only pay for the service provided for your party and no booking fees. Don’t even try to do the party yourself – let us help you create an event that you and your guests will never forget. Shaken Not Stirred serves the entire Los Angeles Area, including the San Fernando Valley, Santa Monica, Hollywood, Beverly Hills, Long Beach, the South Bay,Inland Empire, Orange County, Canyon Country, Ventura County, and Palm Springs.